The skeptical cardiologist spent way too much time soliciting and analyzing the arguments against Amendment 3 on a gorgeous fall Sunday. 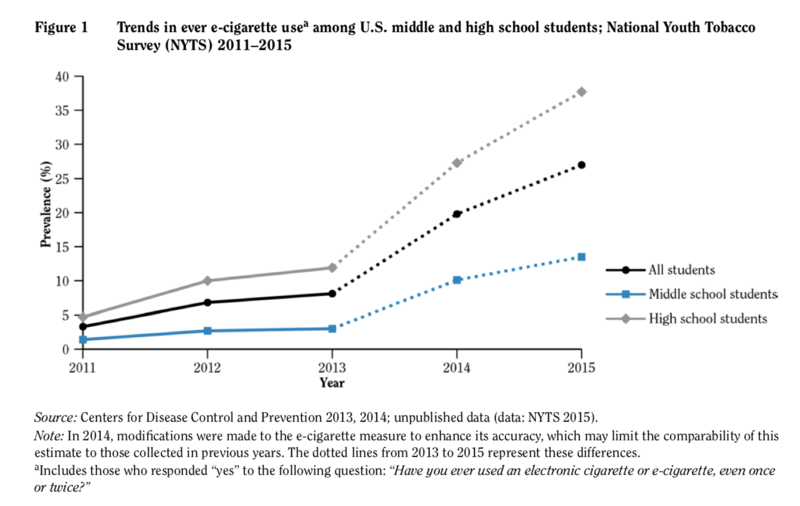 I found two sites to be very helpful in sorting through the “smokescreen” put up by opponents: Campaign for Tobacco-free Kids and the blog of Megan Green. Both of these sites I have concluded are only interested in helping children and have unimpeachable credentials. 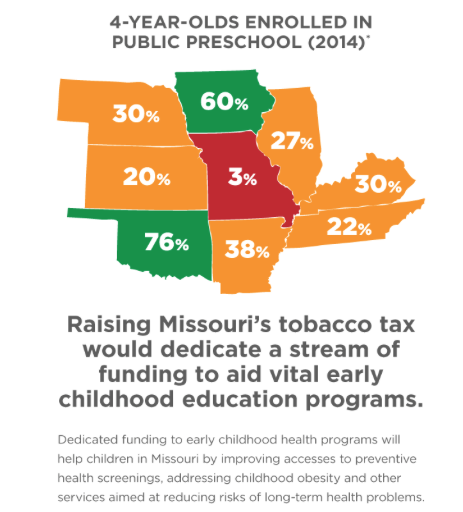 If you take the time to read these discussions I think you will conclude as I have that Amendment 3 should be supported as a measure that will both reduce cigarette smoking and enhance early childhood education in Missouri. Washington University in St. Louis put out studies in 2009 and 2012 about the reasons that the last two cigarette tax increases failed. It was largely because proponents of the tax were fighting big tobacco, wholesale tobacco, convenience stores, and pro-life, each of which are very powerful lobbies. It is nearly impossible to fight all of them and win. Misguided Argument 1 :There are restrictions on the money being used on stem cell research. This appears to be why Washington University sent an email to all their faculty urging them to vote no. Utilizing lessons learned from the 2006 campaign detailed in the study, an attempt was made to neutralize the opposition by adding specific language stating that the money would not be used to support abortions or stem cell research in the 2012 initiative, which also failed. As detailed in a 2012 study also from Washington University in St. Louis, the pro-life groups were still not satisfied, but were not as active as in prior campaigns due to the ballot language excluding funding of stem cell research. Misguided Argument #2. The measure will fund religious and private schools with public money. The Establishment Clause of the U.S. Constitution prohibits public dollars going towards religious instruction. 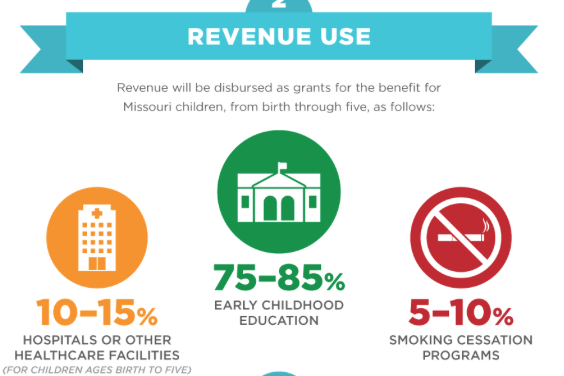 Missouri education leaders suggest that to adequately serve our birth through 5 population and deliver quality pre-K, Missouri must have a blended funding model. As the daughter of a retired NEA Local President there are few things that matter more to me than the protection of public education. I also think that it is important to understand a few things about the landscape of early childhood education in Missouri. First, the Establishment Clause of the U.S. Constitution prohibits public dollars from going toward religious instruction. Funds cannot be used on religious education, period. With that said, religious organizations, such as the YMCA already receive public money to provide early childhood programing so long as that funding does not go toward religious education. Second, it’s important to understand how the current system of early childhood education is funded. In Missouri we already have a blended funding model between public and private institutions. Private schools already receive early childhood programs and, in fact, most programs in this state are private. Parents receive child care subsidies, or for lack of a better term, vouchers. Programs also receive food and other health related government funding. In return, these programs must adhere to state licensing standards. Although I would love for Missouri to have a completely public early education system, it is irrational to think we could move to a completely public system. Most of the supply in Missouri is in the private sector, and we also use public money at private institutions in the form of child care subsidies and child and adult food care program reimbursement. A prime example of this are Head Start programs, which are often private organizations, such as Grace Hill, the YWCA, and the Urban League, who receive government contracts to run the program. Facilities have to be licensed or accredited in Missouri to receive those funds. Missouri recently passed a quality rating system this past year that ensures quality. Although I support when St. Louis Public Schools added pre-k programming to its elementary schools, the decision was done without the consultation of those in the private sector, and as a result, some really high quality programs serving low-income kids went out of business because they couldn’t compete with free. The best delivery model for early childhood education services for children ages birth through 5 is a public/private model. Public schools are not in the business of taking care of infants and toddlers. The only way we can reach all children is through a blended model, and we already do that in Missouri — Head Start and Missouri Preschool Project public money’s go to private providers. If we already had the bulk of our early childhood programs in the public sector, then I would be all for it going just to the public sector, but that is not the system we have. Only having the funds in the public sector would disenfranchise many children in rural areas where schools would have to build additions to accommodate rather than being able to use existing programs. Couple that with the travel times induced by closing programs in small towns and having to bus or drive kids that young to school districts is not in the best interest of kids. There has to be a public/private partnership where school districts can contract with quality programs to replicate their programs in a public setting rather than starting from scratch. I’m rarely on the opposite side as the teachers unions, but I am in this case because we have real financial, logistical, and educational reasons to not switch to a completely public system. In sum, if we only want early childhood education in the public sector are we saying that we should defund programs like Head Start and the Missouri Pre-school Program? Then are we further saying that no non-profit organization should receive government funding because they do not operate in the public sector? I think not. Unless we are ready to draw those hard lines in the sand, that no non-profit or Head Start Program should be receiving government money since they are not public entities, I encourage you to vote YES on Amendment 3. Misguided Argument #3. 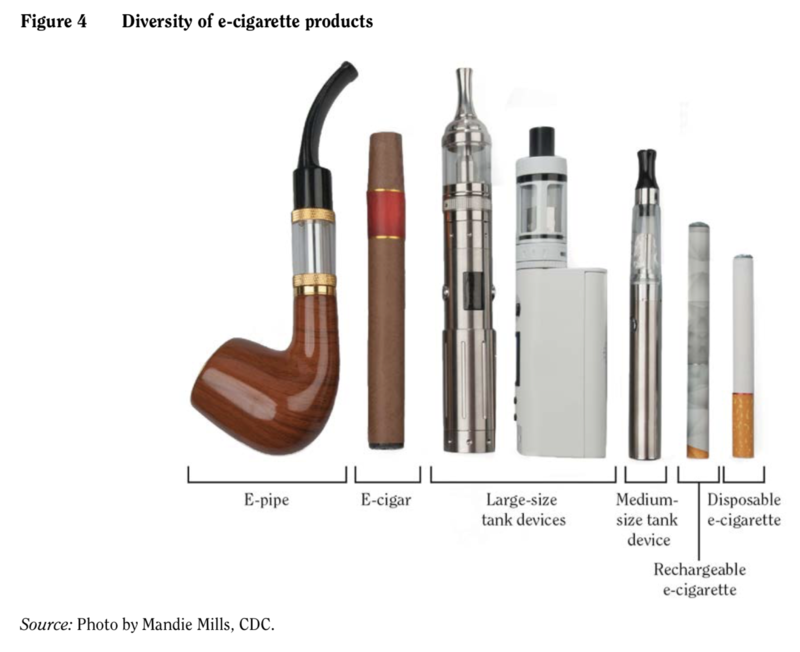 Studies have shown that the increase in cigarette tax proposed is not enough to impact cigarette smoking. This seems to be the argument of the major health organizations that have come out against the tax. Misguided Argument #4. This is a regressive tax which will hurt the poor more than the affluent. The regressivity of existing taxes, however, does not necessarily imply that tax increases are regressive as well. In many countries, tobacco use among the lowest income/SES populations is most responsive to price, while use among the highest income/SES populations is least responsive. Thus, a tax increase that raises tobacco product prices will lead to the largest declines in smoking among the lowest income persons, and the burden of tax increase will fall more heavily on higher income consumers whose smoking behaviour changes little in response to the tax increase. I urge all Missouri readers to educate yourself on Amendment 3 by reading the source documents and fully understanding the document. Tobacco companies have opposed tobacco tax increases by arguing that raising product prices would not reduce adult or youth smoking. 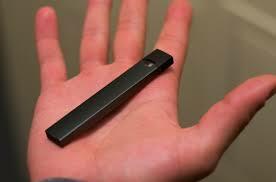 But the companies’ internal documents, disclosed in the U.S. tobacco lawsuits, show that they know very well that raising cigarette prices is one of the most effective ways to prevent and reduce smoking, especially among kids. 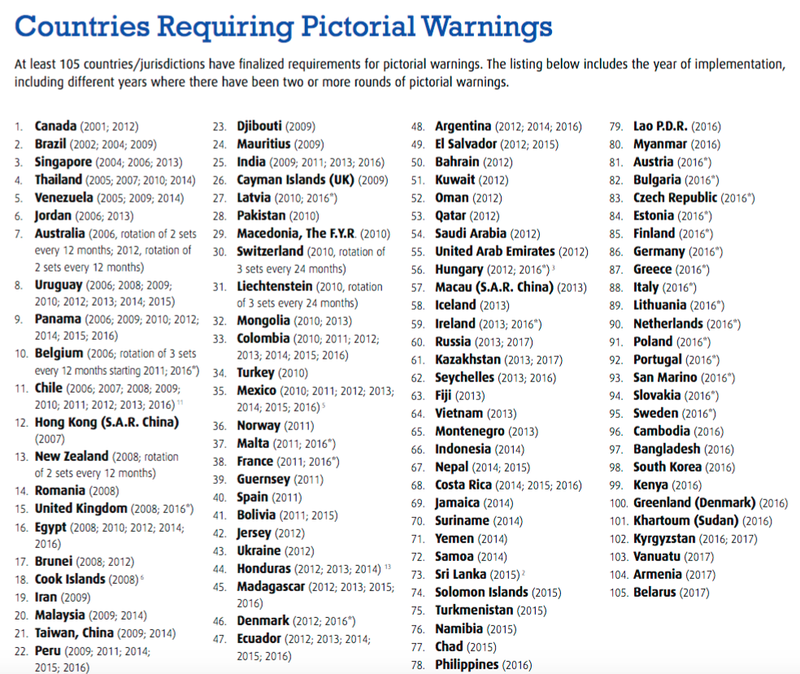 Philip Morris: Of all the concerns, there is one – taxation – that alarms us the most. While marketing restrictions and public and passive smoking [restrictions] do depress volume, in our experience taxation depresses it much more severely. Our concern for taxation is, therefore, central to our thinking . . .
Cigarette Smoking Kills: Should Missourians Vote Yes To Raise Cigarette Taxes? Recent statistics show that cigarette smoking is responsible for 167, 133 cancer deaths annually in the US or 29% of all cancer deaths. 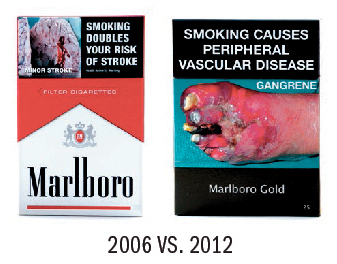 Cigarette smoking also kills annually in the US 160,000 people by promoting cardiovascular disease. Thus, from a health standpoint we should be doing everything possible to stigmatize and make more difficult cigarette smoking. One approach to this is to tax cigarettes, raising the financial burden of smoking. Across the US, therefore, states have added cigarettes taxes which average 1.65$ per pack. My state of Missouri has the lowest state tax on cigarettes of 17 cents per pack. Multiple ballot attempts to raise this amount have failed in the past. Tobacco products in Missouri are too cheap and the health costs are too high. Our state is long overdue for a tobacco tax increase, but it needs to be one that will make a difference and save lives. A meaningful tobacco tax increase – of $1.00 per pack or more – has proven time and again to be an effective way to reduce tobacco use, cut healthcare costs and generate state revenue. Our local public radio station had a good discussion recently which is summarized here. Jane Dueker is a proponent of Constitutional Amendment 3. This tax would provide $300 million in funding for early childhood education, healthcare and smoking cessation programs. Right now, Missouri can’t even fund the K-12 Foundation Formula, so any extra funding is needed for early childhood education. By filing this as an amendment, we were able to make a constitutional “lock box” that would keep the legislature and special interests from taking money that is specifically dedicated to this fund, like what happened with lottery funds. Right now, only 3 percent of 4-year-olds in Missouri are in a publicly-funded preschool. Missouri is behind states like Oklahoma with 76 percent, Illinois with 27 percent and Arkansas with 38 percent. Higher tobacco taxes have failed in 2002, 2006 and 2012. 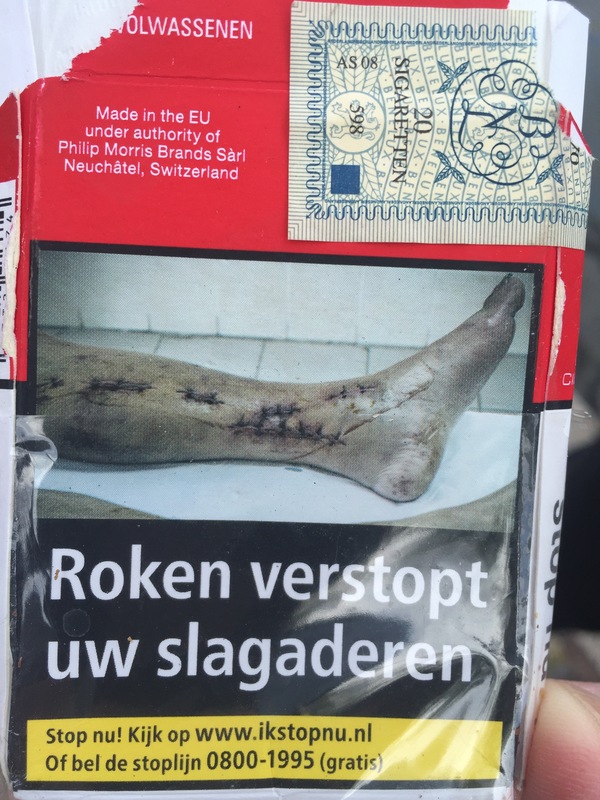 This is more reasonable and we don’t have a clause that says another tobacco tax could not be added on top of this one to give that “sticker shock” to consumers. This closes a loophole that kept cheap cigarette companies from paying their fair share into a 1998 court settlement to recover some of state governments’ tobacco-related health-care costs. Now, smaller tobacco companies would pay a 67-cents-a-pack hike on low-cost cigarettes in addition to the 60 cent tax on all cigarettes. This would give Missouri $1 billion annually we currently don’t get. Missouri is the only state that hasn’t closed this loophole and the state is a “dumping ground” for the cheapest cigarettes in the country. Groups that oppose this either think the tax is not high enough (health groups) or that they don’t get money from this fund (pro-choice and research institutions). Missouri’s Foundation Formula public school funding starts at kindergarten and cannot fund early childhood education. This money could go to public or private early childhood education entities in a way it would not be distributed through the foundation formula. $15-30 million dollars would be raised through this tax that would go to smoking cessation programs. The fund will be administered by a board of unelected people because they have special experience in early childhood education. A “person of faith” is required on the board because of their position as a community anchor. At this point, I’m leaning toward voting yes on Amendment 3 but confused as to why RJ Reynolds is supporting it to the tune of 12 million dollars and the “good guy” health organizations oppose it. I’d appreciate any input/comments on this from readers. I strongly urge everyone to read and learn as much as you can about the issue before walking into the voting booth. 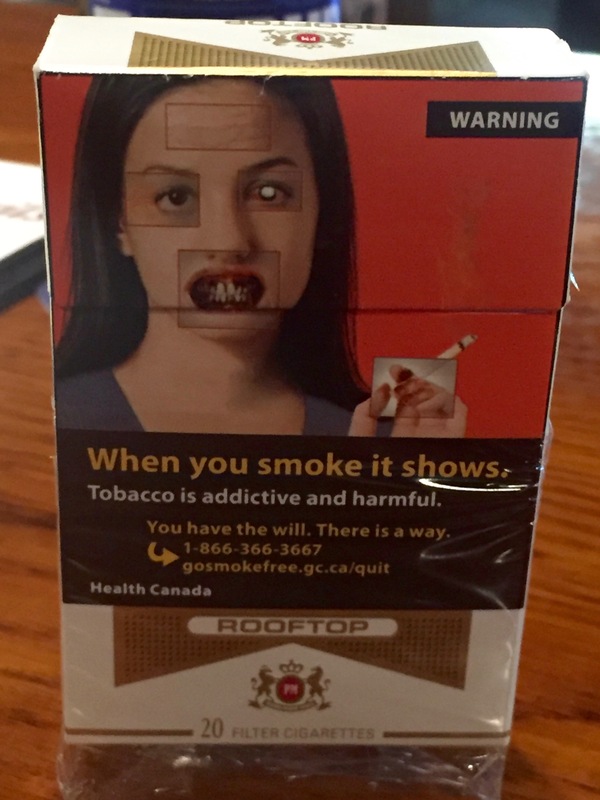 By the way, I recently observed this Canadian cigarette package which I think excellently conveys the horror of cigarette smoking. 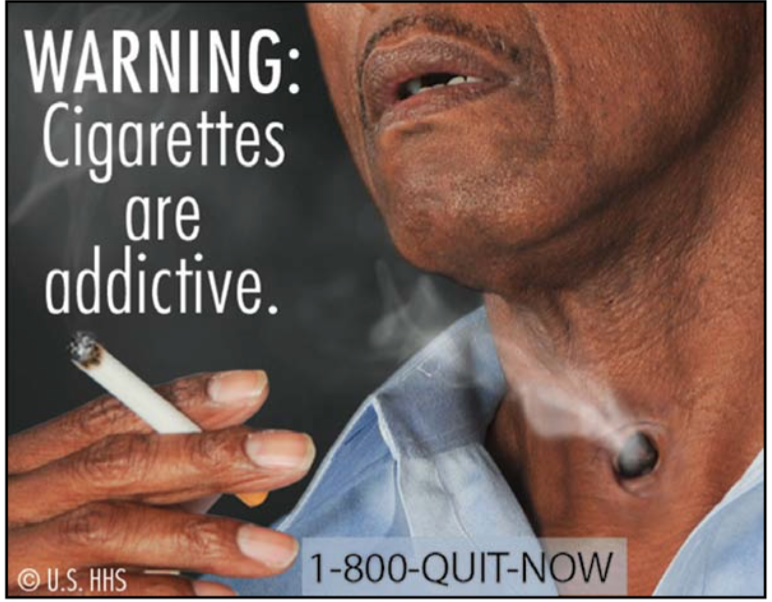 Secondhand smoke causes 7,333 annual deaths from lung cancer. Secondhand smoke causes 33,951 annual deaths from heart disease.